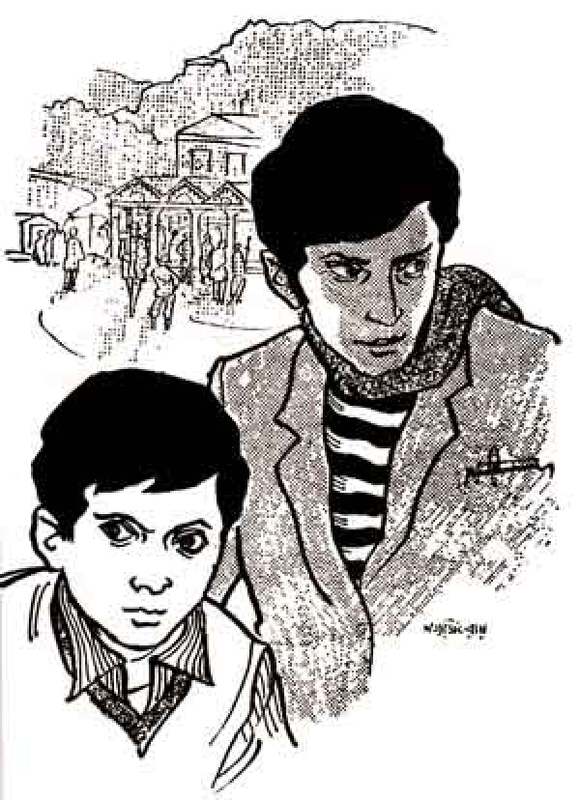 Feluda is a series of short stories published by Satyajit Ray in his Bengali Children's magazine called Sandesh. Feluda was originally written and published in the bengali language. Feluda is like the Indian version of Sherlock Holmes written exclusively for children. I used to read a lot when I was a child. The books that come to my mind are The Secret Seven, the Famous Five, Hardy Boys, Nancy Drew, Little Women, Sherlock Holmes, Harry Potter and so on. Notice the one thing in common here. All these are english literature. While this is hardly an earth-shattering revelation for anyone, understand that I haven't read anything in my mother tongue or any of the regional languages. I, like many others, used to feel that English is far superior to my own culture and language. This is relevant because it was because of Feluda that I realized and acknowledged for the first time that my own country has produced great literature as well. I read Sherlock Holmes when I was in 6th grade. All the mystery and adventure was fun, but there were chunks of the novel that I didn't understand. That was because of the difference of culture. Obviously. It was something I couldn't relate to, something that seemed too out of the world to me. Then I read Feluda. I was blown away. Feluda was a private detective from Kolkata, a city which is real and 180 kilometers from my town. When I said that Feluda is an Indian version of Sherlock Holmes, I wasn't kidding. In fact, Feluda was an ardent follower and disciple of Sherlock Holmes. Feluda learned his methods of deduction and applied it to solve his cases. But the biggest point of Feluda was that it was specifically written for children, and it was especially relevant to me because I could finally get the references and the jokes in the novel. The book made me feel as if I was on the adventure with Feluda himself which I was unable to feel in the case of Sherlock Holmes. This story was too real for me, the places described were the places that I have been to, it totally fueled my imagination, and created such a powerful and amazing reading experience for me, and for the first time in my life I considered that my country has an amazing history and literature as well. This reading experience has fueled me to read more books written by Indian writers. Feluda made me turn to writer like Rabindra Nath Tagore, Premchand, Mahadevi Verma, Ruskin Bond, and so on. Feluda pulled me into the world of Indian literature and opened my mind to such great possiblities and thoughts. Not only did Feluda trigger my intellectual development and discovery, it has also kept me company when I was lonely through school and at home. Feluda and Tapse were my constant companions through a lot of tough days. Every reader has that one book that shapes their thinking, I won't say Feluda was that book for me, because Harry Potter will always have that place in my heart, but Feluda was definately an important stepping stone or a better word will be window through which I discovered an infinite world of literature. And this is why I have written this tribute to Feluda.